Our flexible and unique event spaces give you the opportunity to host a one-of-a-kind event with meaning and purpose! Your event investment goes directly to support our mission! Our Think Tank offers a variety of seating configurations for comfort and inspiration. 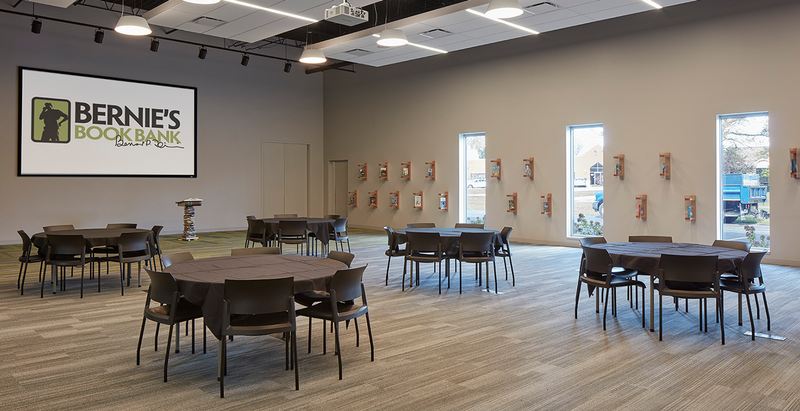 Our event spaces can host 5 to 300 guests for corporate meetings and team building, private parties such as book clubs, birthday parties, family reunions, mitzvah celebrations and weddings, and community events of all kinds. Modern atmosphere with high ceiling and barn door fixtures. Consists of four separate spaces that flow together.